Buying a home can be challenging, especially to those buying one for the first time. It’s a significant event that deserves special care and attention, since this will be the first house you will ever own. You need a lender that knows the ins and outs of the Aldie, VA home buying process. At Fairfax Mortgage Investments, we work hard to streamline that process for you. Are team is dedicated to guiding you through the home buying process as you search for the perfect home. With many types of loans out there, we work with you to choose the best one for your home buying needs. Contact Fairfax Mortgage Investments today! 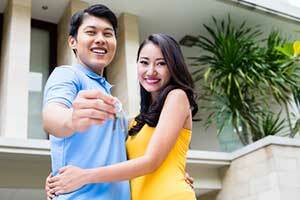 We will make sure that you will be able to buy the home you want with the right type of loan. FHA loans are insured by the Federal Housing Administration and allow Aldie, VA first time home buyers to pay down payment at an incredibly low cost. They also have lower closing costs and good interests rates, perfect for those who are look to buy a home for the first time. Since it is insured by the Federal Housing Administration, FHA loans offer some protection if you default on a loan. USDA loans are US Department of Agriculture approved and are perfect for those looking for a home out in the countryside. Those that have no homes and are in the greatest need are sure to be taken care of when getting a USDA loan. They are low interest, fixed-rate loans that have no down payment for those that qualify. VA home loans help people become first time homeowners in Aldie, VA. They are guaranteed by the Department of Veterans Affairs and have no down payment, lower interest rates, and no requirement for mortgage insurance. VA Home loans are available to veterans, soldiers, and widows of soldiers. FHA Section 203(k) allows Aldie, VA first time home buyers to purchase a house and repair it through a single mortgage. They have low down payments, which make it easier to buy, while the repairs are taken into account. This is perfect for those who want to fix up a home that they are buying if the house is in need of repairs. There are many programs and grants to consider when going through the Aldie, VA home buying process. Though the process takes some time, we are dedicated to sticking with you the whole way. Through program applications and credit rescoring, we of Fairfax Mortgage Investments will make sure to get you the home you want in record time. When beginning the Aldie, VA home buying process, you must first estimate the cost of the house, along with closing costs, and then develop your budget around it. Then you find a realtor and prepare the essential documents to be looked over, like pay stubs, bank account statements, W-2s, tax returns, statements from current loans and credit lines, and the names and addresses of landlords for the past two years. After that, let Fairfax Mortgage Investments do the rest!